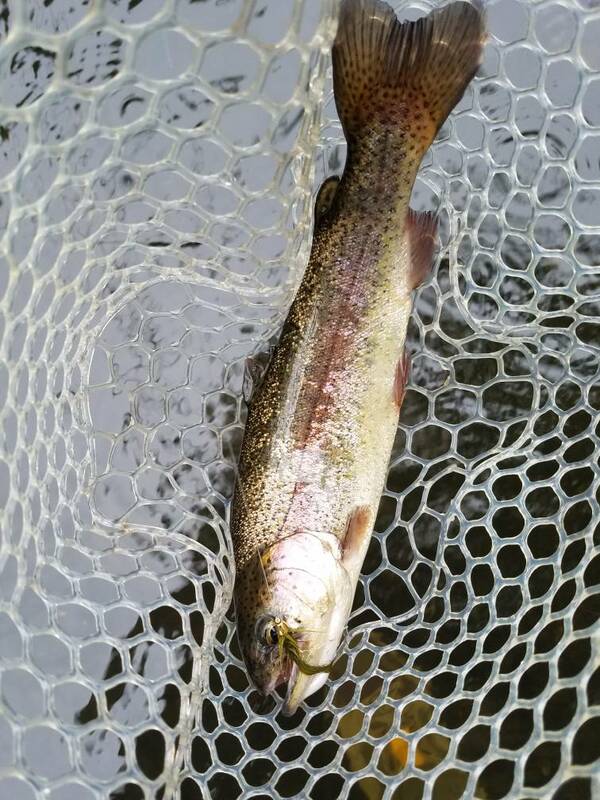 Love, love fishing in the rain... few others around, except a lot of rainbows... 9 to be exact! Nice!!! River looks to be in good shape. I miss the Ramapo! I know it's not the best river around, but was my local river for so long that I have a fondness of it. Looks like you did well! All on streamers? Every single one on a CH green wooly bugger... they love green on that river. Got 5 this afternoon, though it's clear it will be running low if we don't get regular rain. Very nice, I'm up there a lot myself. Very muddy bottom in a lot of spots but plenty river to explore. Did you fish in NY or NJ? Hey, sorry for late reply. My notifications need work! I fish both, but more in NJ than NY. The NJ sections are easily accessible and they do a good job stocking. I've never seen evidence of large holdovers, but I could be wrong. In NY, they actually stock 14" browns! But, the river is not as well managed and can have a fair amount of crap in the water. Still, I have seen evidence of very large holdover browns. It's just not a pretty river which is part of my reason for going to begin with. One of the biggest issues is that the Ramapo's base flow is something like more than 30% treated wastewater. As in treated sewer water that is never cold enough for trout unless much larger flows of natural groundwater are added to it. That's a interesting point Rusty. I fish the NY part but I have tried North NJ a couple times. As far as NY goes I always thought the problems arose from all the old dams along the way that still hold water and slows the flow of the river. It's so silty that I've come across spots where you can sink up past your knee. Slow flow and silty river bottoms always equals no trout in my book. We also have a problem with tributaries, that should be contributing cool/cold water to the river, but were dammed, creating shallow ponds that sit in the sun acting like solar collectors, and are now either contributing warm water, or water that's not as cold as it could be. Run of the river dams don't hold back water as they remain full pool 100% of the time. Instead, as Pete said, they create thermal issues, sediment issues, fish passage issues, etc. But they are not the same as flood control dams that actually get manipulated to release or hold back flows. Our dams are mostly remnants of days long gone by and were for unknown reasons maintained for a century or more by their owners for no purposes except that there was always a dam at those locations since early European settler days. On a related topic, I know of a book being written about dam removals and their impacts on native fisheries (includes anadromous fish) with an emphasis on the northeast US which is seeing lots of obsolete dam removal projects. Not sure when the author will be publishing it, but Patagonia is funding its writing. I know because they interviewed me for it somewhat recently. 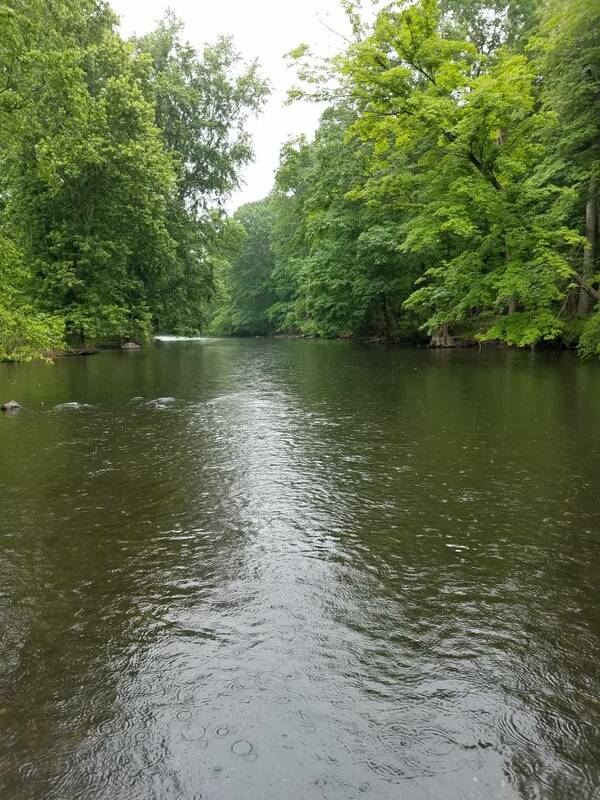 If you try to check it out, you'll get chased or arrested, but there's a urban legend that the dam in "Sun Valley Farm" (Mahwah upstream from the Bear Swamp Bridge) creates a cool deep pool where monster trout lurk. The owner makes sure that no one stops there longer than the time it takes to portage a canoe or kayak around the dam. Since he owns both sides of the river there, his claim of owning the riverbed seems credible. 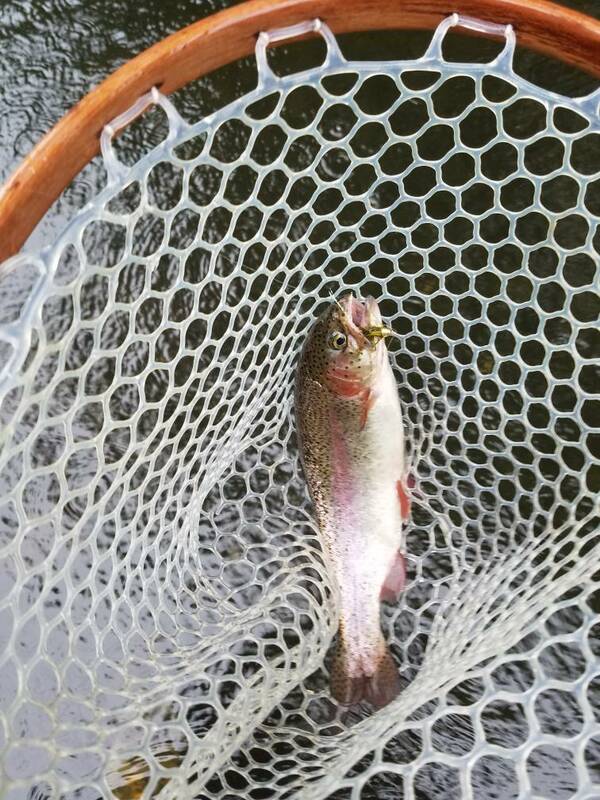 I suspect that some of the "monster trout" might be suckers, but no one could stay long enough to do a positive ID. Pete, looks like that is DEP owned now. Can't be 100% sure as even the NJ tax maps show "Null" for ownership at the dam at the end of the lake. I assume that is where you meant? All other surrounding lands are NJDEP owned.